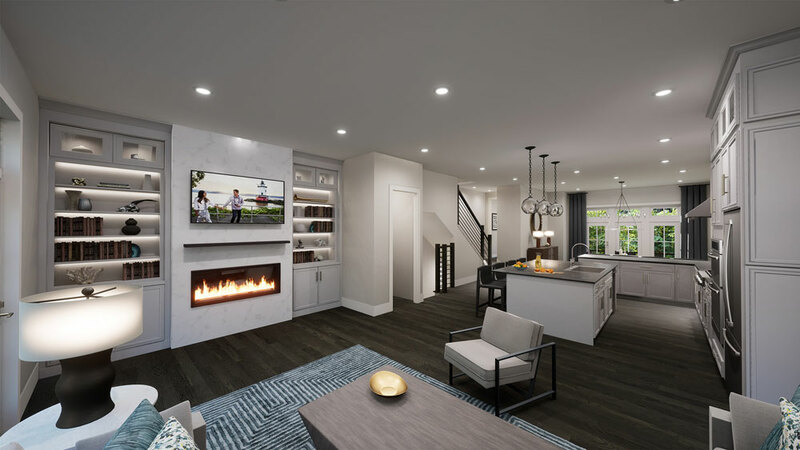 This gorgeous living space in the Park model brownstone only exists in virtual space, but it can be replicated down to the last light fixture, if you want it. 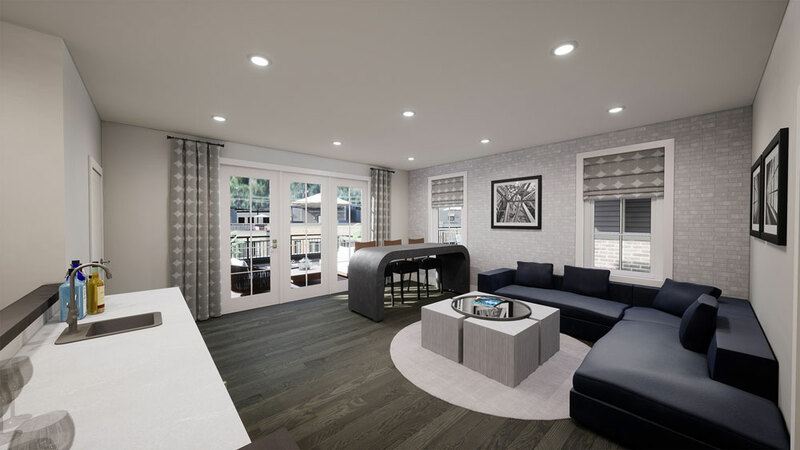 Staging a model home is a great way to give prospective buyers an idea of what a furnished unit can look like, but this becomes a tad more difficult when you’re building your properties to-order. “Looking at a twelve-foot-by-twelve-foot on a plan, someone says, ‘What could I fit in this space?’” says Toll Brothers Division Vice President James Fitzpatrick. The solution, he says, was simply to show them. “Simple” might be a bit of an understatement. 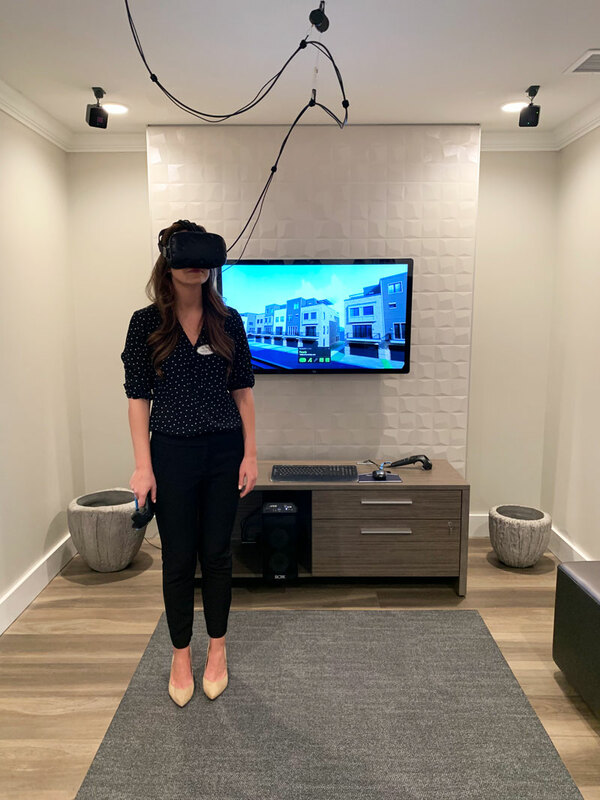 We got to try out the solution that Toll Brothers implemented for its new Edge-on-Hudson luxury development in Sleepy Hollow, and it would not be hyperbolic to say the experience was surreal, immersive, and not just a little bit trippy — and none of those are words we ever thought we’d apply to a new home walk-through. Photo by Dave ZuckerYou quickly adapt to wearing the headset, but furnishings and lighting are rendered so accurately that you may have trouble not reaching out as you interact with them. 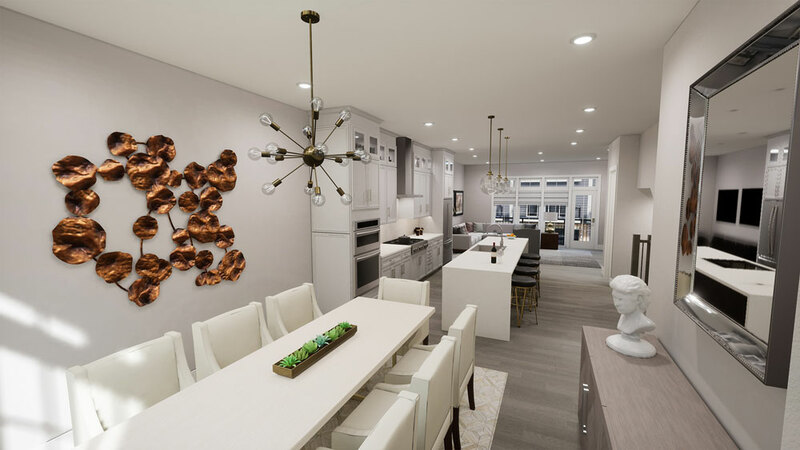 Powered by an HTC Vive Virtual Reality Headset and running SteamVR, the team has developed fully rendered environments for two of the company’s four brownstone models — the Carroll and the Park — inside and out, complete with scenic Hudson views. 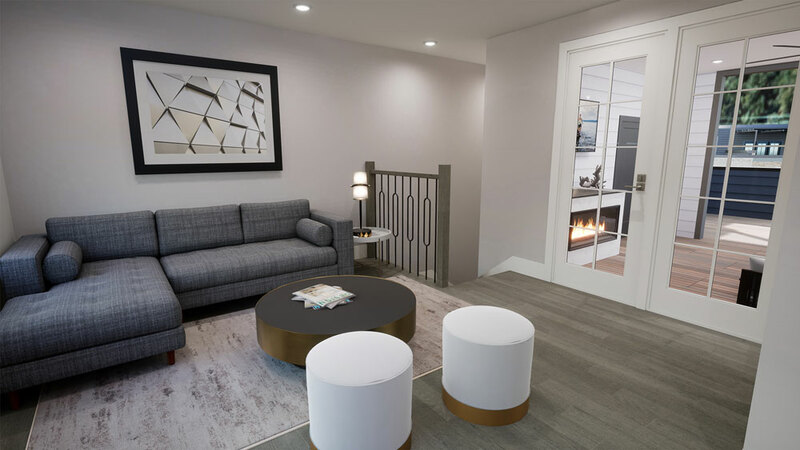 Working in collaboration with the same architects and interior designers who design the actual homes, the VR team created walkable virtual demo models that are real-world accurate down to the appliances, light fixtures, paint colors, art, and even the coat hooks. The version of the Carroll we toured included a spare office, large great room with wide views of the Hudson, a kitchen island, and a partially covered fourth floor loft with lounge, wet bar, and a lovely hardwood deck. The result is utterly surreal. Wearing a VR headset, guests can get a 360º view of every room, stairwell, terrace, and powder room in the virtual models. Each is immaculately appointed, and while the sky is as pixelated and unmoving as you’d imagine, the interiors look real. More than once we clicked to zoom into a living room and nearly fell over when we arrived practically on top of a (gorgeous, plush) easy chair or ottoman. At one point, we leaned over the edge of a fourth floor terrace (utterly beautiful and sporting a massive stainless steal grill) and actually experienced a slight sense of vertigo as we looked over the edge. 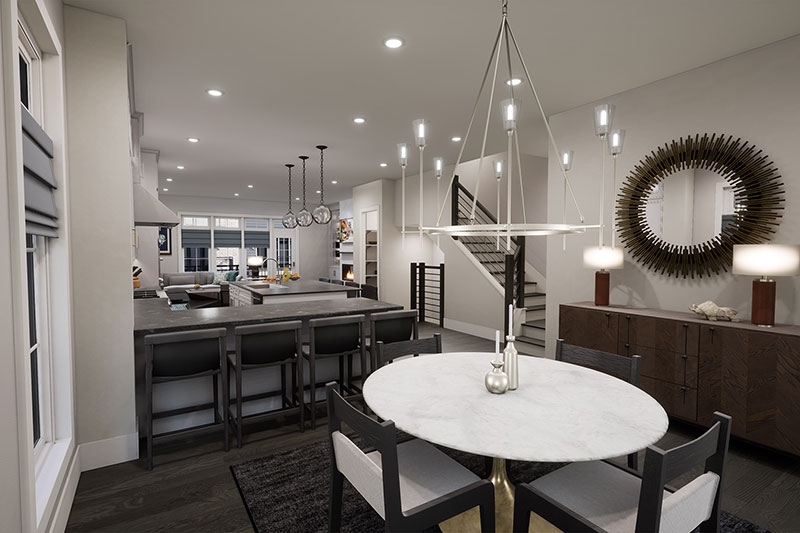 This iteration of the Park model includes more modern and industrial elements like iron and brickwork, along with a large L-shaped kitchen counter in lieu of a larger dining area. “You really get a sense for what Toll Brothers does and how Toll is different from other building companies,” says Marketing Account Director Andrea Meck. She casually adds that they’ve already signed agreements with three buyers and, yes, all three took the virtual tour first. Those interested can check out galleries and a clickable walk-though online, but there’s obviously no substitute for a fully immersive experience. 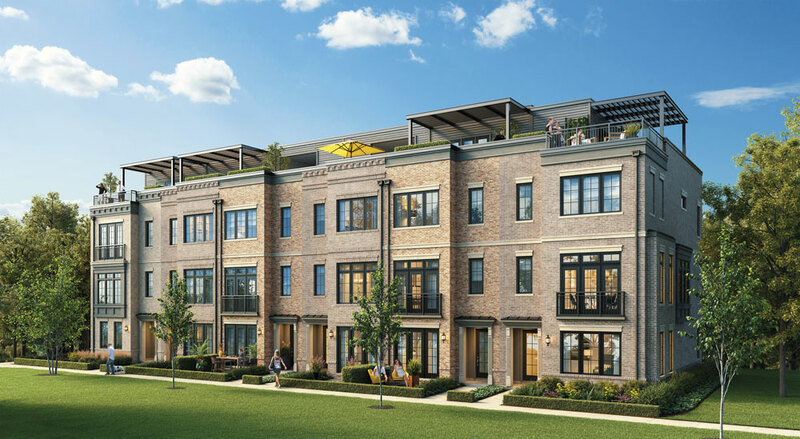 The Carroll and the Park side by side will offer upscale, townhome-style living while retaining the communal elements of shared green space and adjacent terraces.